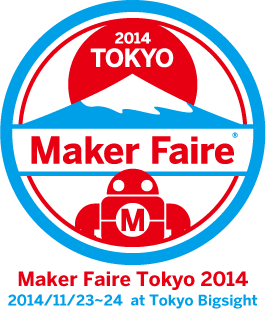 Maker Faire Tokyo will be held on November 23rd and 24th! The fair is in its third year and will be held at Tokyo Big Sight! This entry was posted on Friday, November 21st, 2014 at 7:00 pm	and is filed under Maker Faire. You can follow any responses to this entry through the RSS 2.0 feed. You can skip to the end and leave a response. Pinging is currently not allowed.